An activity termed as Dummy Bus Ride was organized in Mother’s Pride school to make kids aware about the vehicles around and recapitulation of numbers 1-6. A dummy bus set-up was done in the lobby by setting chairs labeled from 1-6 and placing bus cut-outs in front of them. Each child was asked to take a ticket and move towards the bus of the same color. Children were seated on the chair corresponding to their ticket number. Once seated, they pretended on going for a bus ride. 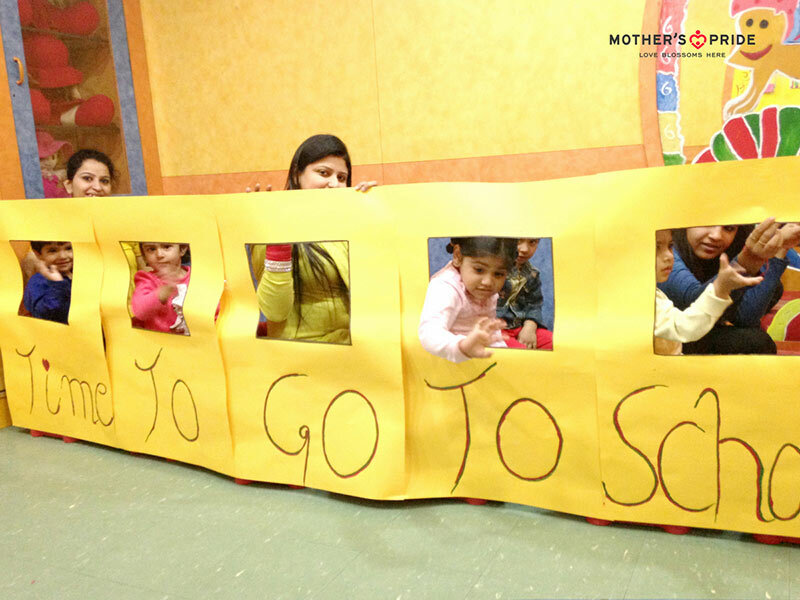 Children enjoyed reciting the rhyme ‘Laal Peeli motor’ after the activity. 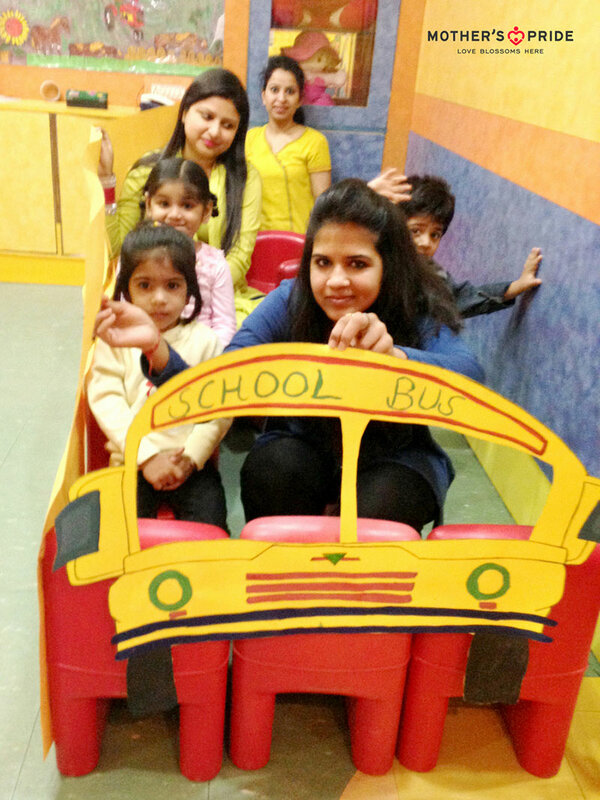 Everybody relished the activity and it helped them enhance their conceptual, physical and social development.